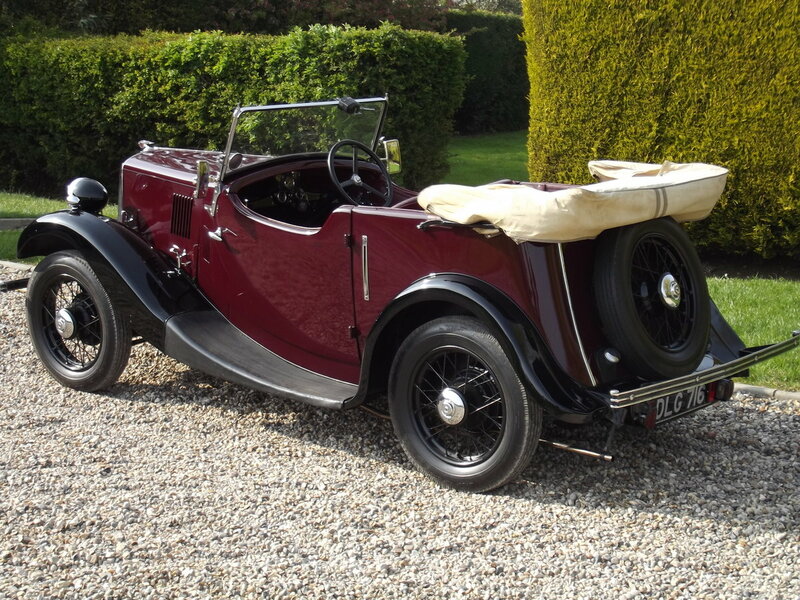 A very well presented Series 1 Morris 8 Tourer. 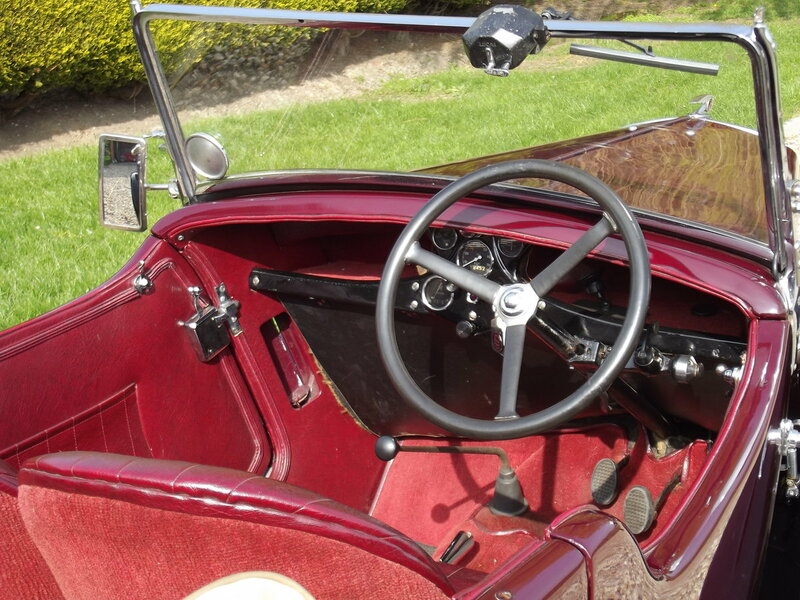 This excellent example was restored some years ago but remains in first class order. 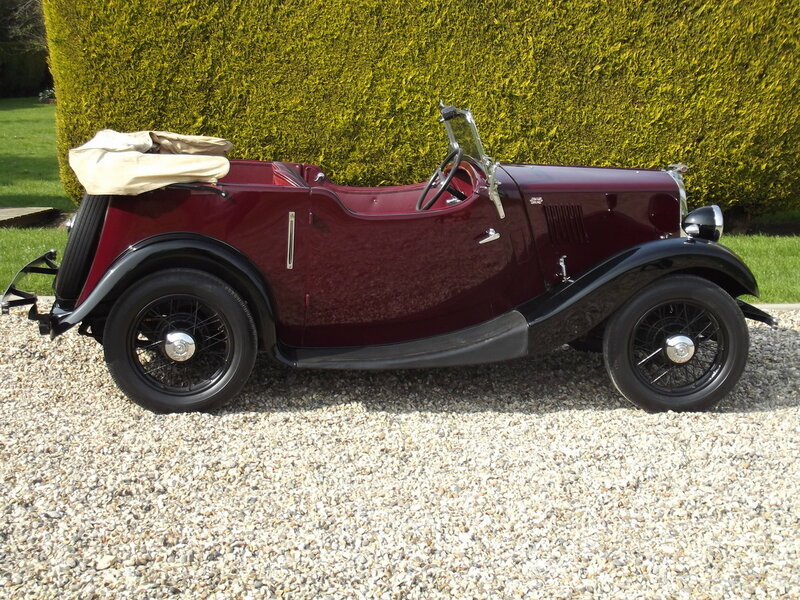 We have had quite a few of these cars over the years and this is a nice, taught example with good steering and is in arguably the best colour combination of maroon over black with red interior and fawn hood. 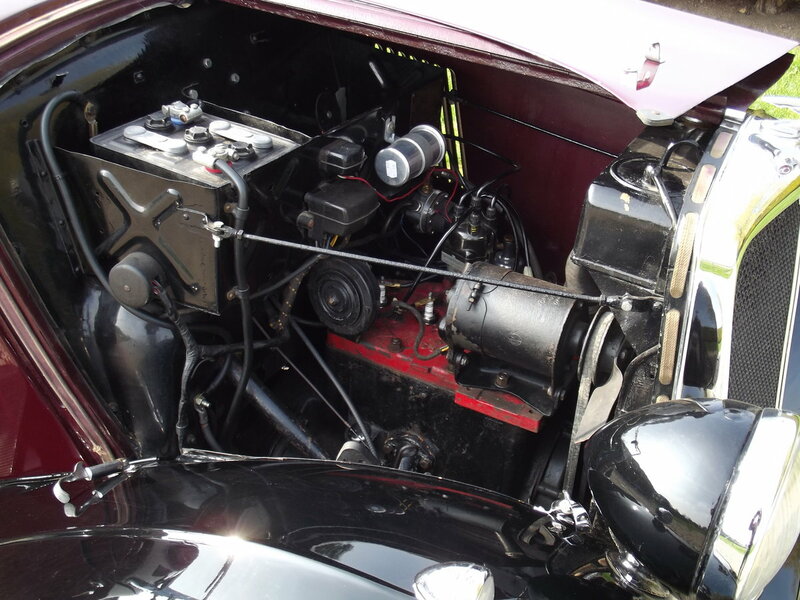 A Series E engine and gearbox has been fitted which means the engine has shell big end bearings and the gearbox has four speeds; a very worthwhile modification. A stainless steel exhaust system is fitted. New fuel pump and carburetter. The hood is in good order and the sidescreens appear hardly used. There is a matching hood bag which would needs a couple of small repairs. 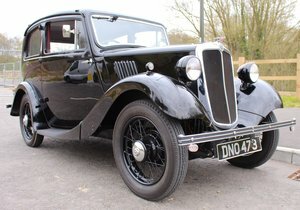 A large history file come with the car which includes receipts, old MoT’s and a buff log book dating from 1956. 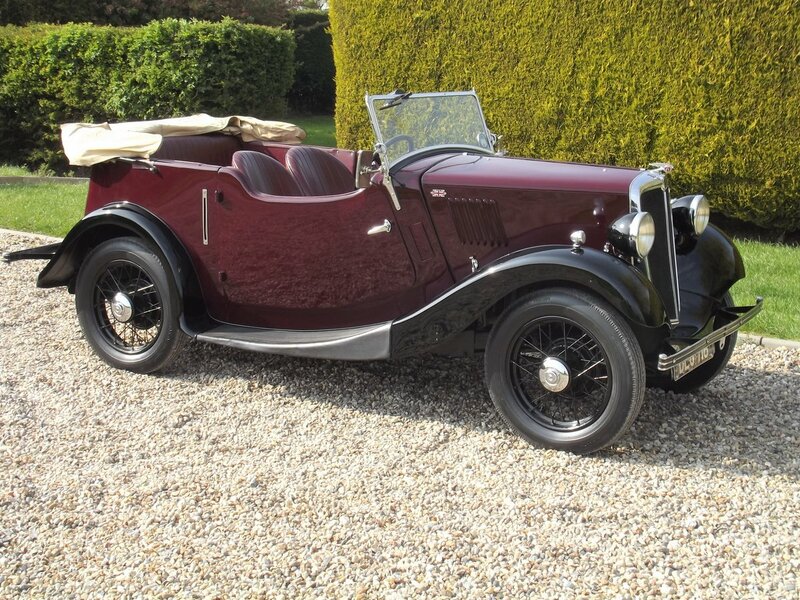 Morris 8 Tourers are deservedly popular being simple to maintain with excellent spares back and a very active owners club, the Morris Register. As always we are happy to take an interesting vehicle in part exchange. To arrange a viewing call James on 07980 982367 or 01245 248888. 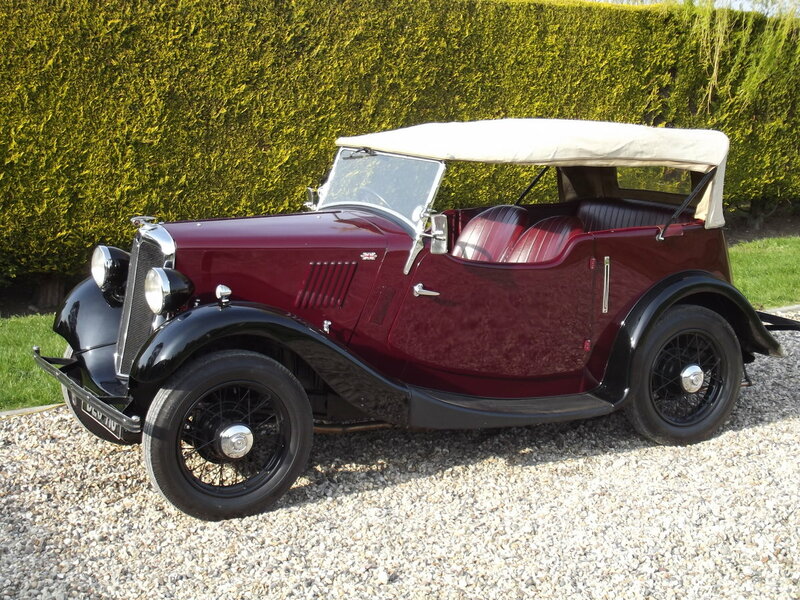 1938 MORRIS EIGHT SERIES 2 TOURER.NUT AND BOLT REBUILD.